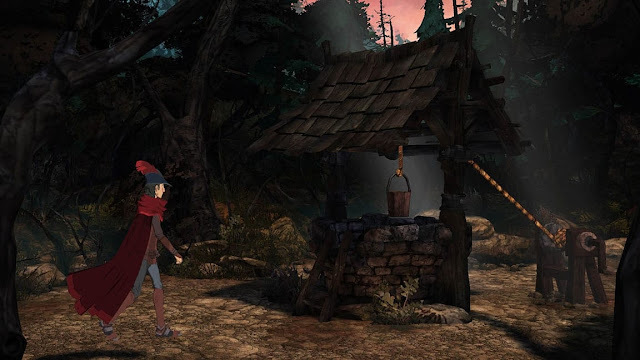 Last night saw the release of chapter three of the gorgeous and beautifully told story that is King's Quest. Chapter Three, Called "Once Upon A Climb" sees King Graham looking back on his most personal tale so far. When the magic mirror reveals the location of his one-true love, Graham must climb to daring new heights to save his future Queen. This episode needs chapter One to acually play, so I was suprised to see when looking at my normal internet places of interest to see someone had noticed that the first episode is now free to play for all on the Xbox One. You can download the game via the Xbox store by clicking here. You can buy episodes 2 and 3 for £7.99 each, or you can pick up the season pass that will include all episodes from 2 to 5 for just £17.99 on sale this week as part of Deal With Gold.